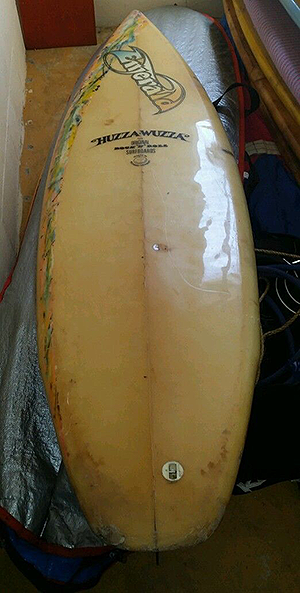 Emerald 7ft Rounded Pin with Flyers. 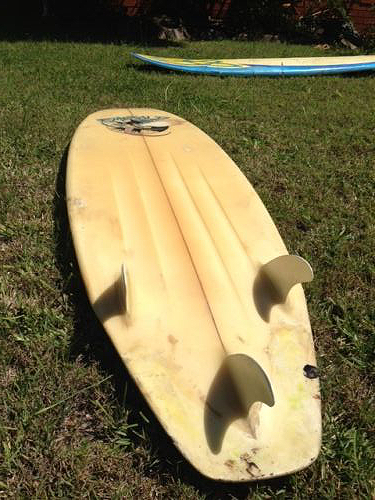 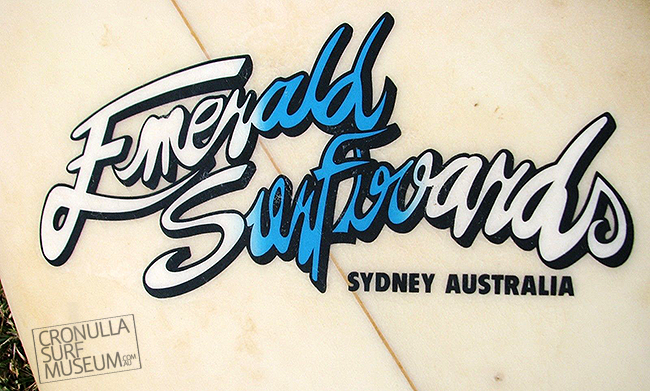 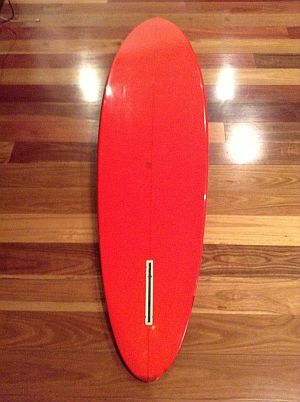 Bob Liddell shape Emerald Kneeboard. 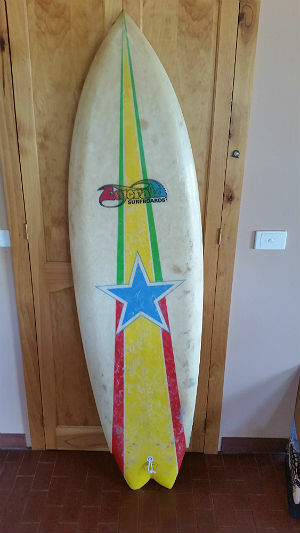 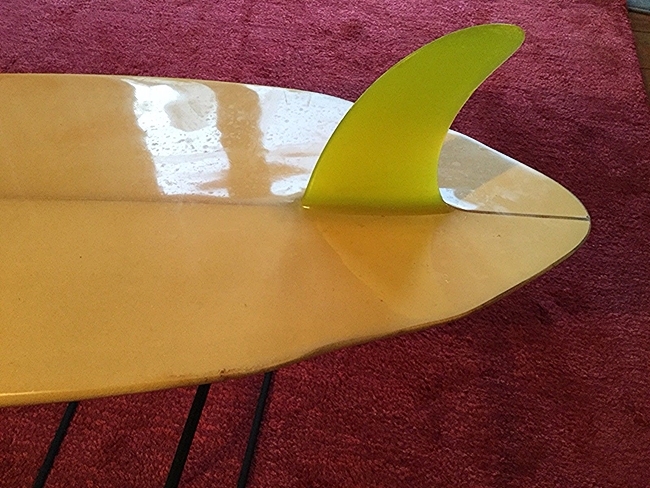 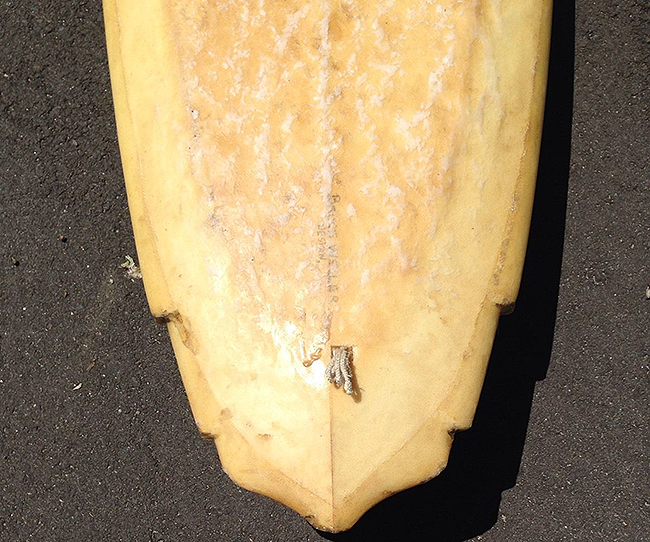 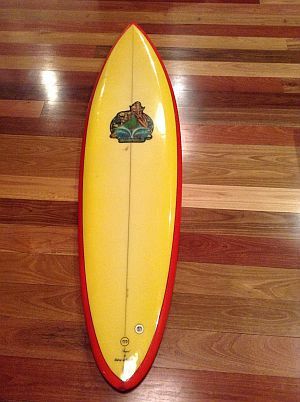 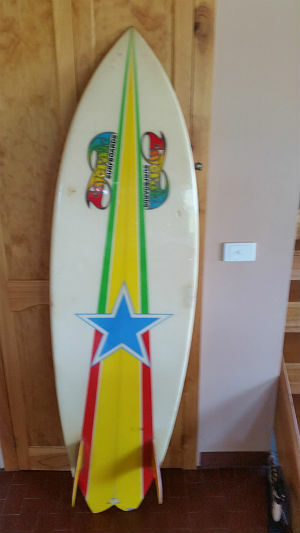 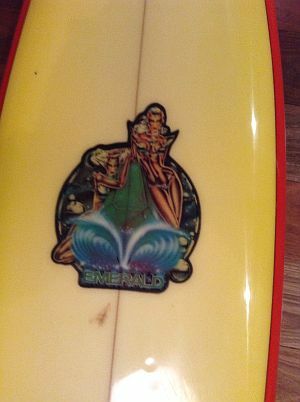 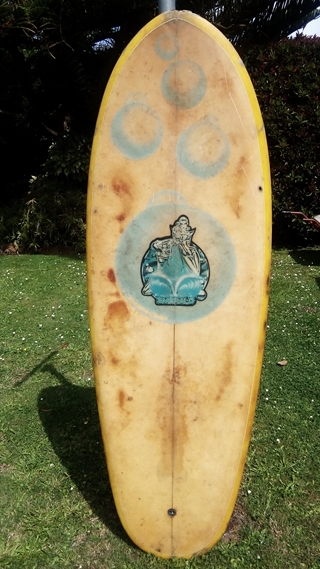 Early 80’s Steve Griffiths Emerald Twinfin.